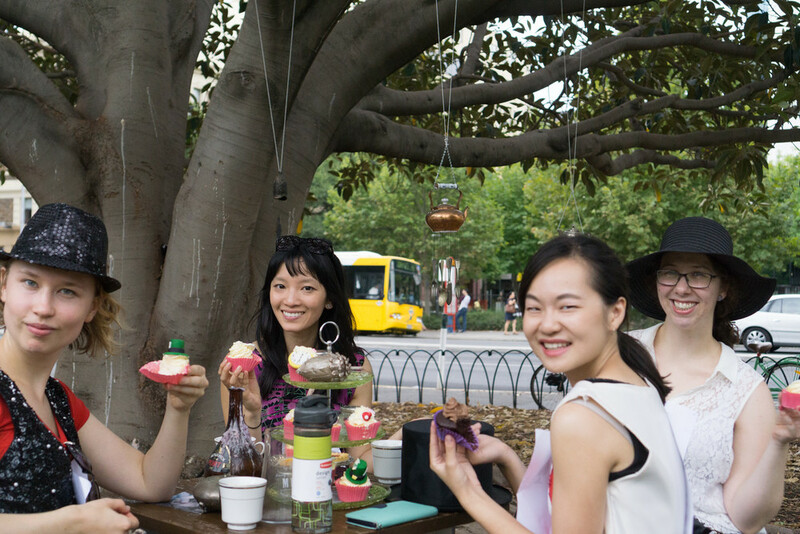 Dash across Adelaide's Veale Gardens, cracking clues and outwitting or outrunning the wild and wonderful denizens of Wonderland as you make your escape in this high-energy immersive adventure! Can your team of adventurers crack the clues, escape the Queen's Guards, and make it back in time for tea? "A small scale amazing race"
"Most definitely the highlight of our Fringe season"
"No comedian made me laugh as much as I did during this adventure!" "The sneaky, strategic outdoor game that was a hit during festival season"
Starts and finishes in the beautiful Adelaide Veale Gardens. We meet in the Sunken Garden on the eastern boundary, alongside the tram stop. 11:30am - arrive between 11:00 and 11:30pm. We'll be all done and back at the start by 1:00pm. 2:00pm - arrive between 1:30pm and 2:00pm. We'll be all done and back at the start by 3:30pm. Encouraged (but not mandatory): anything weird, wonderful, colourful and adventurous. But make sure you can move fast and stay cool! Bonus points for the most fabulously attired teams. You! Teams are 2-6 players, but several teams can stick together if you like. Kids are fine if they stick with you! 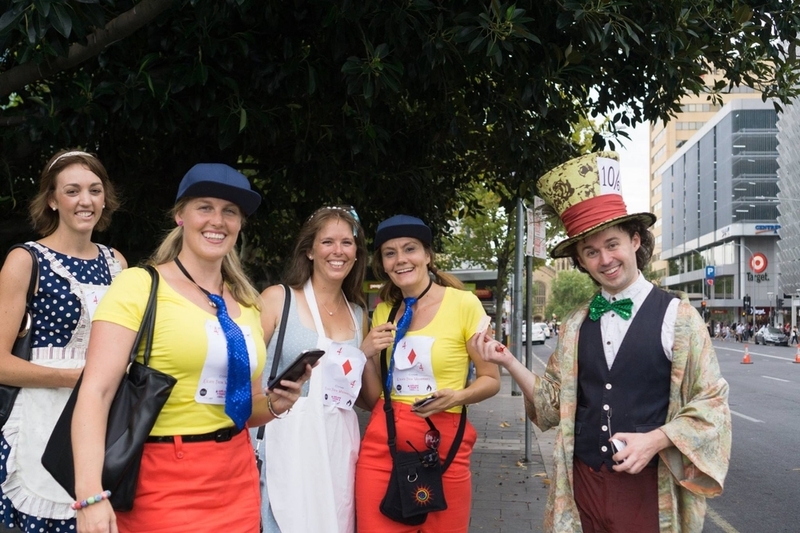 You'll receive a briefing from the Mad Hatter, and access to a set of ever-changing clues. Find the Keys around the gardens in any order and enter their names into your phone to update the live scoreboard. But at the same time, watch out for the Queen's patrols! They don't need to catch you - they only need to see you, so you'd better hope that someone on your team is keeping a lookout! After an hour we all head back to the Tea Party to swap stories, award prizes, and - if you're successful - escape from Wonderland! Every zone is unique, but in all of them you'll have to outsmart, outmaneouvre, or outrun the Queen's Guards. Will your team create a diversion, send out scouts, keep lookouts or even sacrifice someone for the greater good?